If you like to challenge yourself and are dedicated to providing the absolute best service, we want you! Interested in joining a team of motivated, hardworking individuals from all around the world? 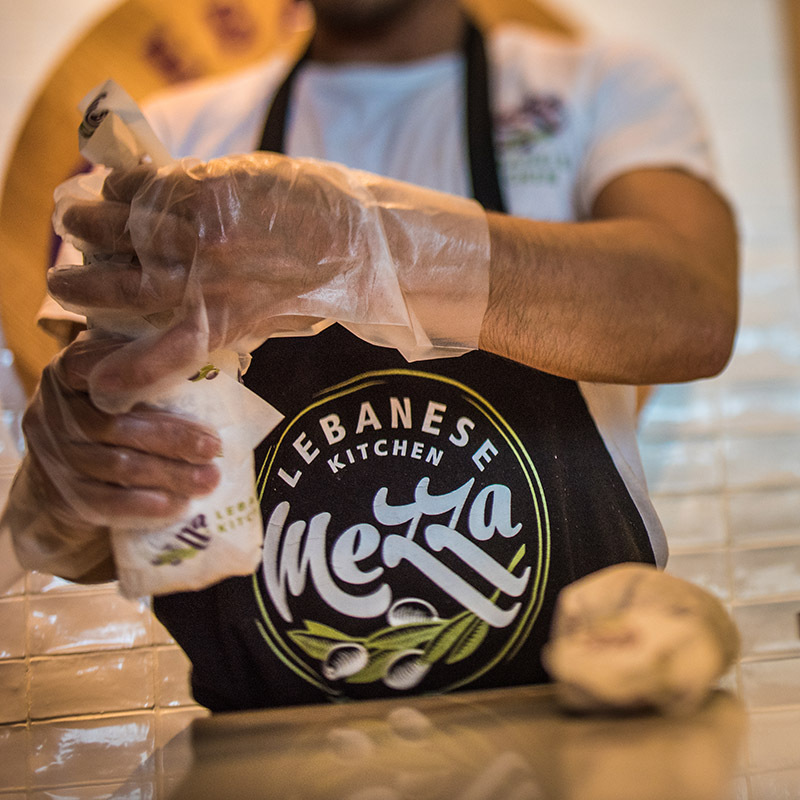 If you think you would be a great fit for the Mezza team, apply now by filling out our online application form (below) or please send your resume to careers@mezzarestaurant.com. Thank you for your interest in working with us! Expect to hear back from us very soon! In this position you will efficiently prepare wraps and plates in a fast-paced environment for our customers in a friendly manner and per customer request. You will ensure each order is made efficiently with a high level of cleanliness and professionalism. You will also provide customers with suggestions and the content of our products. Maintains a clean and safe work area adhering to food safety and health standards; Ensures food ingredients are stored in their designated area and rotated in the proper manner; Prepares all items in accordance with approved recipe cards; Handles and cleans kitchen equipment carefully and safely to prevent damage or injury; Works efficiently and effectively to gather, wash, cut, season, cook, and store quality ingredients; Performs a variety of butchering tasks, such as trimming, and cutting; Prioritizes and organized tasks for speed and quality assurance; Ensures requisitions are filled out for following days par-stock requirements; Reports directly to Kitchen Manager/Chef; Performs other kitchen duties as required. Pick-up and delivery various meals and products; load and unable goods; keep organized record of all daily deliveries; accept and process payment at customer door. The Shift Manager supervises the operations of a shift to ensure that food safety, product preparation, cleanliness and inventory control standards are maintained. This may include scheduling and supervising staff. Exceptional customer service is a major component of this position. The Manager performs and directs overall restaurant management. Directs staff to ensure that food safety, product preparation, and cleanliness standards are maintained. Maintains standards of restaurant safety and security. Recruits staff and oversees training program. Responsible for inventory and money control systems – may establish inventory schedules. Responsible for local marketing initiatives – may contact prospective customers to promote sales. Maintains business records. Exceptional customer service is a major component of this position. The Multi-Unit Manager coordinates and supports all activities within the assigned geographic area. Trains, coaches and supports managers. Plans and sets business goals. Focuses on in-store issues.